Keep baby's pacifier clean and close with this fashionable clip that attaches to clothes and universally fits all pacifier brands and styles. Pacifiers are notorious for falling out of baby's mouth and winding up in curious places all over the house - on floors, behind sofas, in toy boxes, just to name a few. The solution to your missing binky problem? Munchkin's stylish pacifier clips. They attach directly to baby's clothes to keep beloved binkies hanging around. 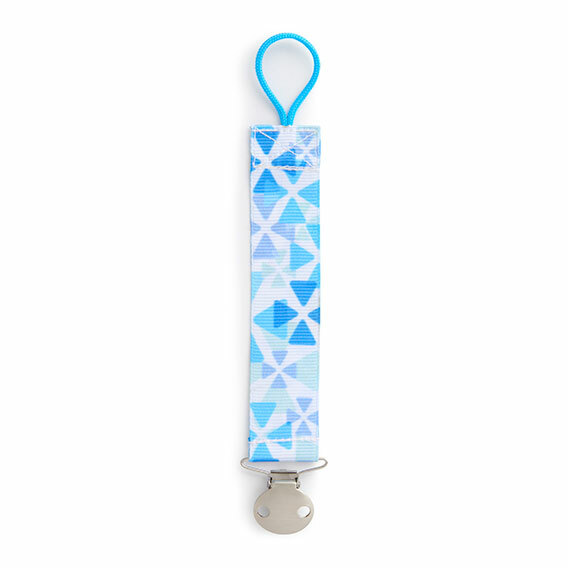 With its convenient universal fit, the clip works with all pacifier brands and styles, so you can at least cross finding lost soothers off your never-ending list. Because there's nothing comforting about that.